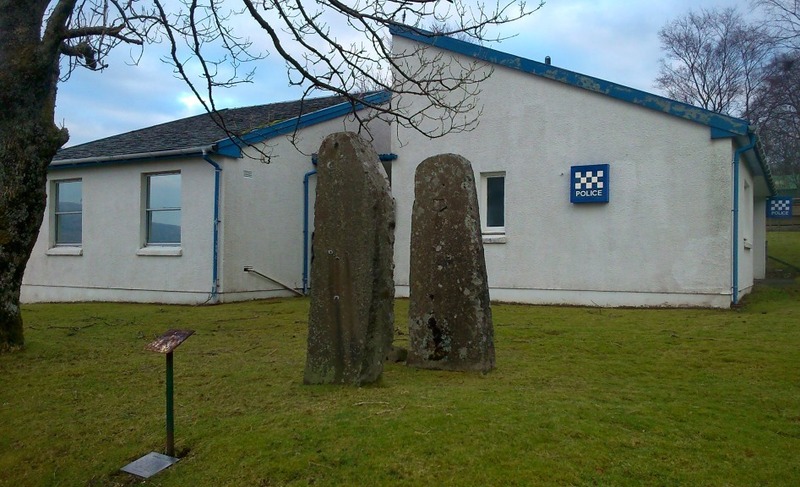 There are two standing stones outside the police station in Craignure, on the island of Mull. We drove past them en route to Iona, and I investigated them on our return to the ferry port while awaiting our Cal Mac carriage to Oban. 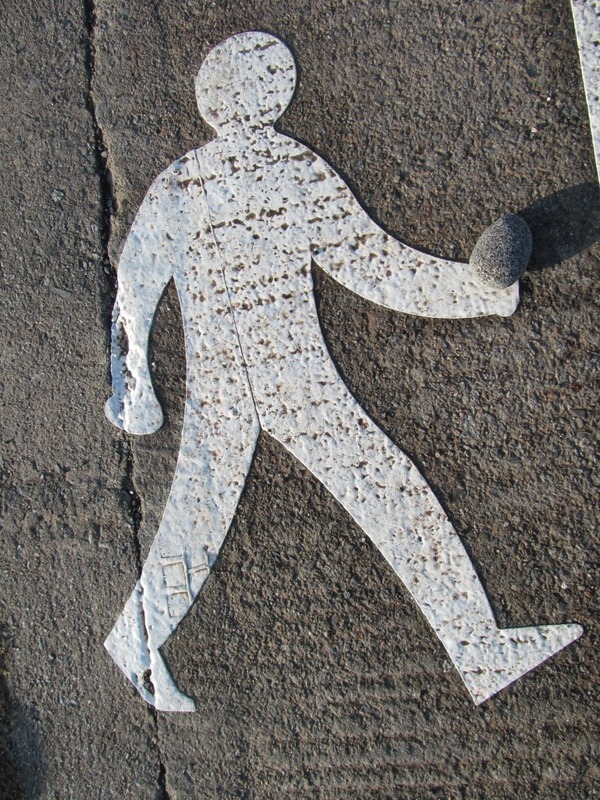 I walked from the pier, with its car part set out in nice numbered rows, along a meandering path on the fringes of the pebble beach, twisted driftwood and faded plastic evident amidst the seaweed and stones. 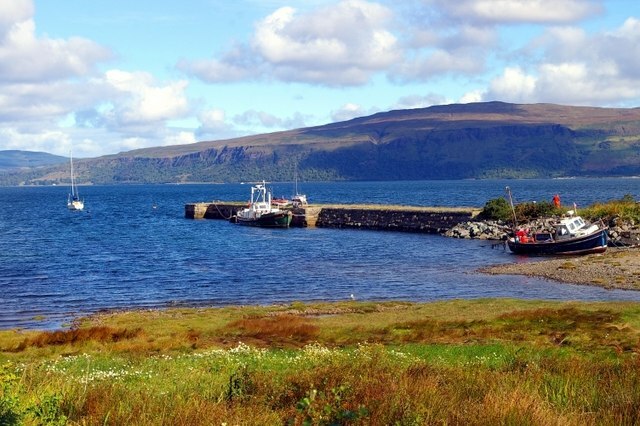 Back on the main road, I was abused by a drunken crowd sitting at a park bench outside the Craignure Inn; their insistent shouting breaking my mood, goading me to respond fuelled by cheap beer and cider. Later, by all accounts, some of their party were seen vomiting in the ferry toilets. I wished I was the flat axe man that I had encountered earlier in the day at Fionnphort, awaiting for, and arriving on, the small Iona ferry. Then I reached the silent blue-on-white police station, with megaliths on guard on the road side of the building, a pair of petrified polis. 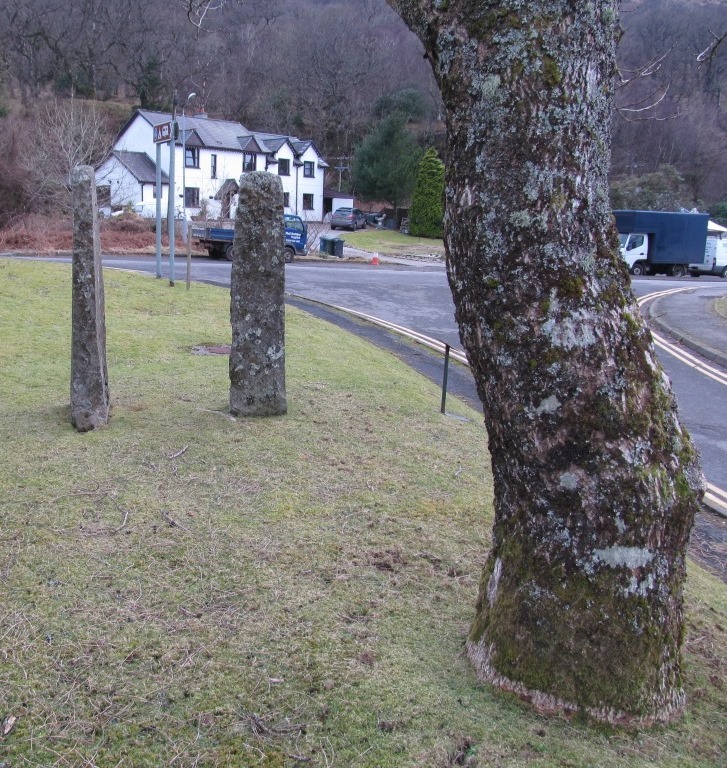 They looked like grey gate posts up close, as they had appeared to be from the car as I passed by earlier. But set too close to one another to support a gate, and in a location where a gate would have been nonsensical. 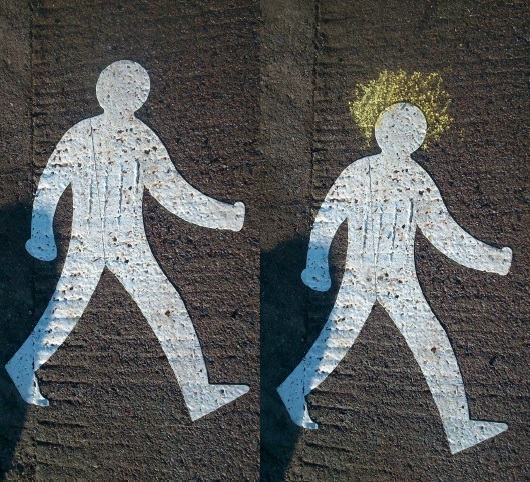 through and on to the island’. 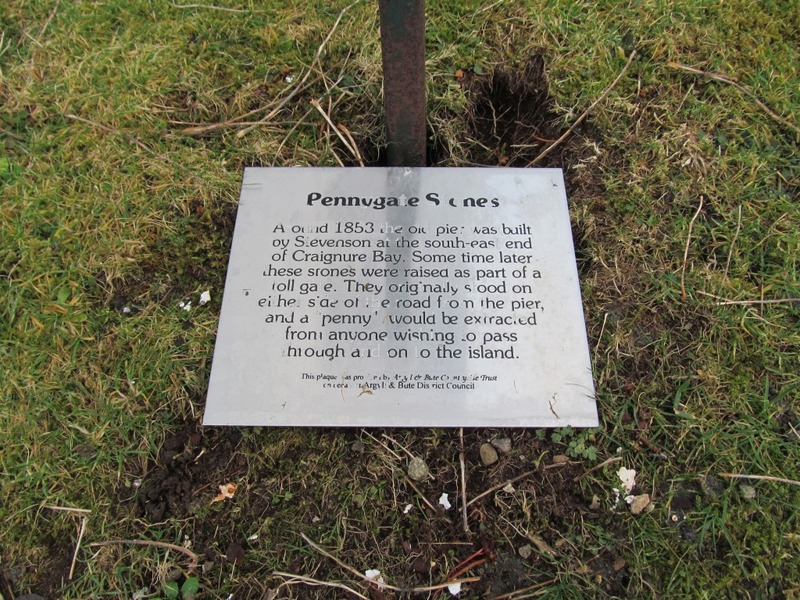 So these stones were once the infrastructure and frame for a simple transaction that was carried out upon landing at the pier and entering the island. It is likely therefore that some kind of gate was supported by at least one of these stones; the northern of the two has a small hole on one side, and a former hole, now filled in, on the other. This is a flat stone, but the other is not quite the same in form, being stockier and not as obviously suited to be a gate post. They make for an unusual pair. Both stones have lichen on their surface, and look curiously similar in appearance to a twisted tree which stands a few metres away. Stone and wood. Wood and stone. 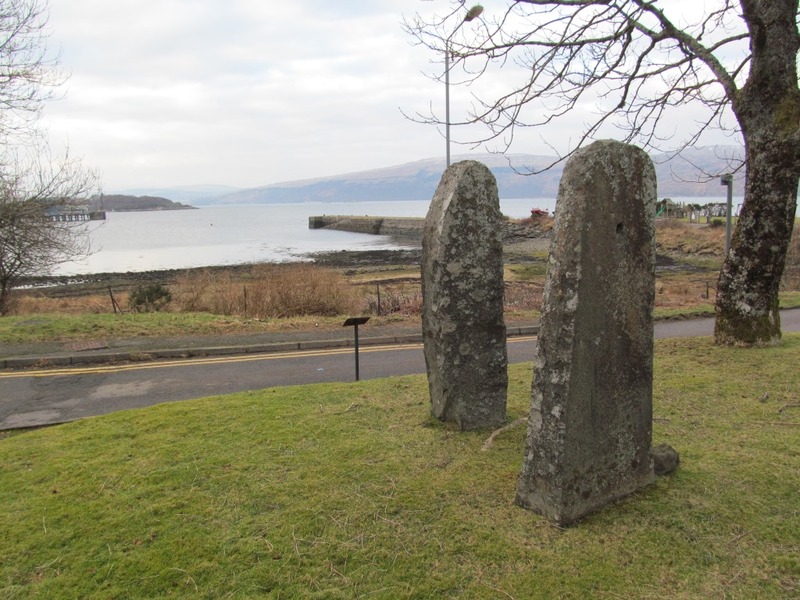 These megaliths stand on the edge of Craignure, no longer in their original location, almost certainly not situated in relation to one another as they once were, and it seems likely that their use as toll gate posts may in itself have represented some kind of recycling from earlier structures. Standing stones in prehistory may well also have gone through various incarnations and forms, with the bluestones at Stonehenge for instance being moved around within this monument, stuck in, and pulled out of, different stone sockets on multiple occasions. It is little wonder that standing stones often have a kinetic look to them, on the brink of moving or escaping from their earthbound shackles, like the Littlest Hobo, wanting to move on and look for a new challenge. The mutability of stone settings, the enduring materiality of stone, the recyclability of megaliths ensures this to be the case. Looking out to sea, and their past life, now under arrest, these two silent grey witnesses bide their time. Where will they end up next, and to what use will they be put? 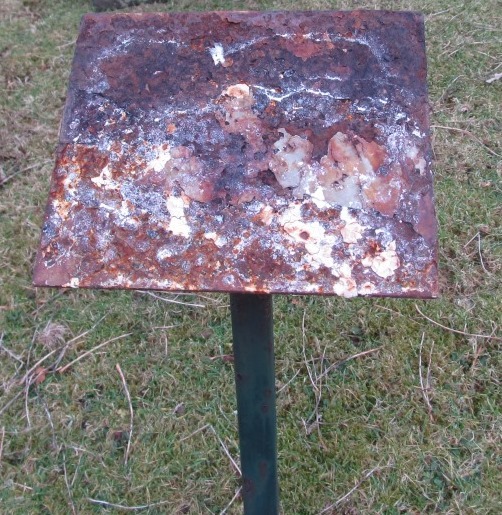 Sources and acknowledgements: thanks to all who accompanied me on a wonderful day out on Mull and Iona – Jan, Bam, Helen and Erika. The photo of the ‘Stevenson Pier’ is copyright to James Yardley, and available to use under a creative commons licence. 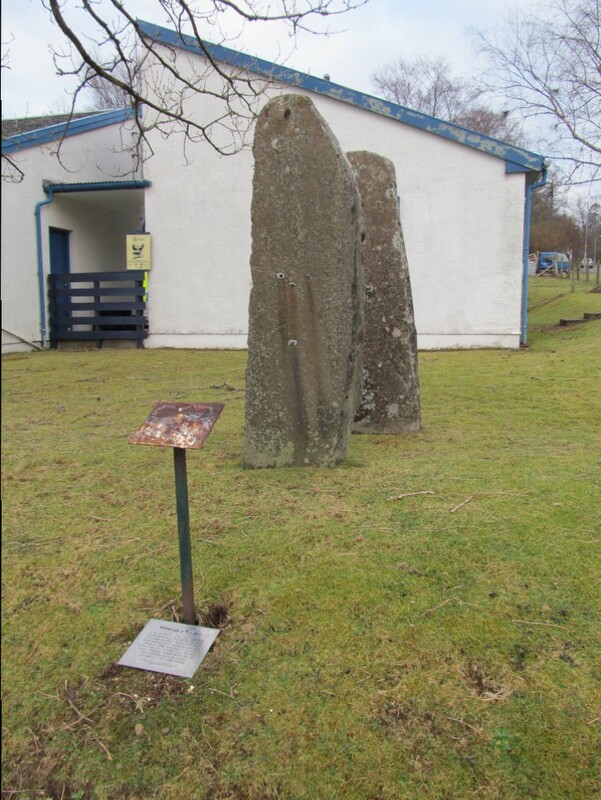 If you would like to find out more about the real Mull Archaeological and Historical Society, go to their website.